I've had some girls ask me about some makeup tips for oily skin so I thought I'd do a post about my 3 favourite mattifying powders which I definitely swear by. Oily skin can be such a nightmare at times, but I take comfort in the fact that people with oily skin don't wrinkle as easily. So I guess I'm okay with putting up with it, if it saves me from worrying about my skin in the future! The first powder on my list is the one I use daily, every morning and also for touch ups throughout the day. I never leave home without it; I always keep a small amount with me in my makeup bag. It comes with a travel brush in which you can store a small amount of powder for touchups during the day. However, I actually keep a small amount in a the travel sized version of the powder which I got in one of the Clinique Gift Bags. You can also use the same brush for application, but I prefer to use my Sephora Collection Pro Flawless Airbrush #56 which gives me a nice poreless finish. It comes in different shades so you can find one which best suits your skin tone. The only down side is that the container doesn't have a sifter lock on it and powder tends to come flying out so you have to be careful when handling it. It's also quite economical because you get a lot (35g worth for only £20). This powder is one of my all time favourite finishing powders for any special occasion. 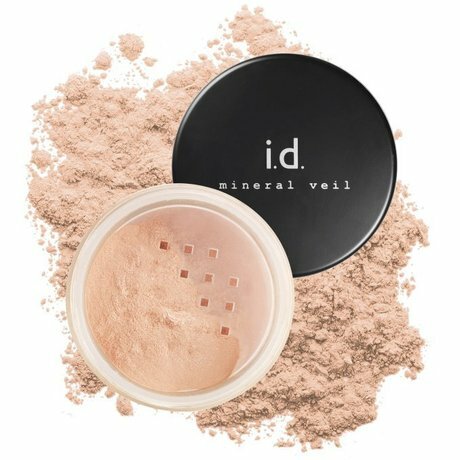 If I've got a full face of makeup on I always use this as a final touch because not only does it mattify everything but it also leaves a nice glistening finish which comes out great in photos. This is a favourite of a lot of makeup artists for that reason. 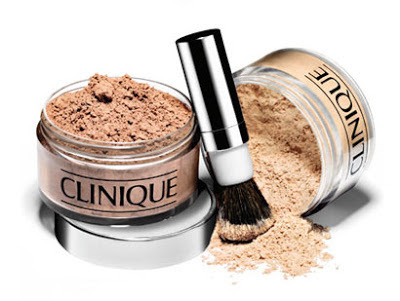 Another great thing about it is the lockable sifter which the clinique powder lacks, so you can always take this with you on the go for touchups. I would class this last one as a sweet indulgence. It's a very luxurious product which works extremely well at what it claims to do, mainly mattifying and illuminating. 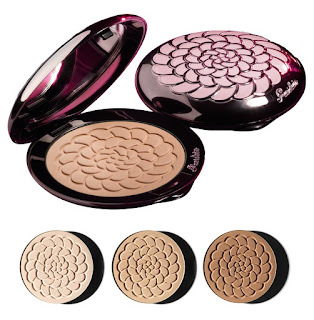 It also comes in a very exquisite and pretty case which will give you an air of instant glamour when using it. I love that it comes in such a timeless compact design which evokes all things feminine. It is quite pricy but I definitely love this product and use it on very special occasions. It comes in 3 different shades which compliment almost all skin tones quite easily. I am olive skinned and I use shade 03 - Teint Dore. When you purchase Clarisonic Mia 2 skin cleansing tools, you will find a complete set with brush, cleansing cream and Clarisonic tool through which you would do cleaning of the face.